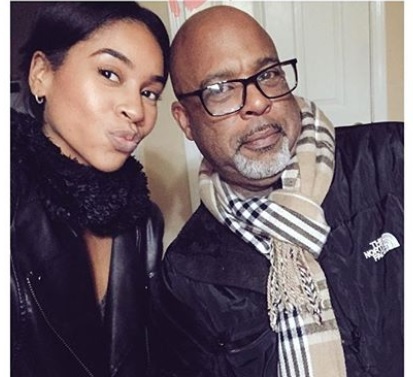 A pretty lady has revealed to the public on social media what she did to her father after 27 years of estrangement. 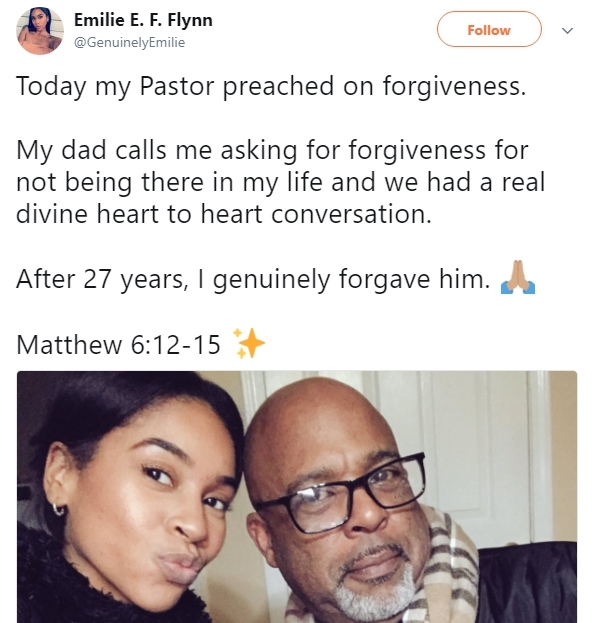 A Twitter user identified as Emilie E. F. Flynn‏, has taken to the social networking platform and revealed how she instantly forgave her father for abandoning her 27 years ago. The lady is currently being hailed all over social media disclosed further that she made the decision to forgive her father after her Pastor preached on forgiveness. "My dad calls me asking for forgiveness for not being there in my life and we had a real divine heart to heart conversation. "After 27 years, I genuinely forgave him. Matthew 6:12-15."